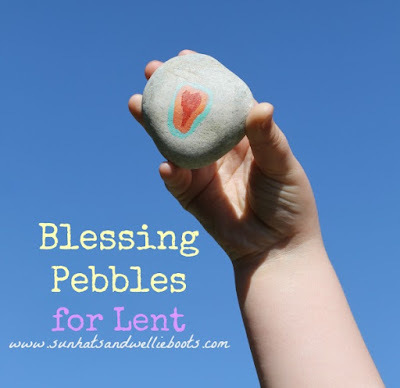 One of the activities from our Family Lent Book is to make Blessing Pebbles. These make perfect little gifts to share with all ages, & are sure to brighten someone's day. There are some days when we all need reminding how special & loved we are. 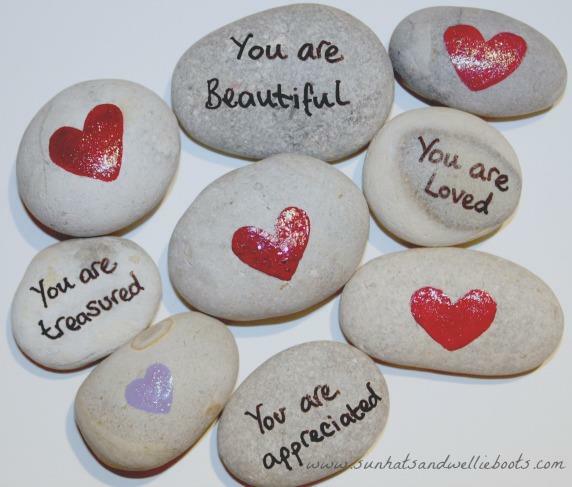 These pebbles are a simple way to show someone you care & that you're thinking or praying for them. Before we started to make them we invited people to think about anyone they knew who might like to receive a blessing pebble, particularly thinking of anyone going through a time, or anyone they wanted to thank, or encourage. With these people in our minds we started to create our pebbles by drawing a heart in the centre of the stone with a pencil. Once we were happy with the shape we painted each heart with nail varnish. The coloured varnishes gave the hearts a glossy finish & the colours were beautifully vibrant. Using the varnish also makes the design waterproof so the pebbles can be left outdoors if you wish. Once the varnish is dry you're ready to add your blessing on the reverse of the pebble using a permanent marker. 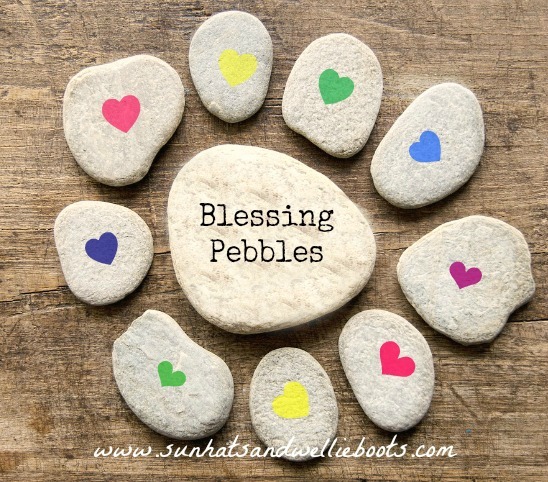 We wrote simple short blessings, each one relevant to the recipient of the pebble. You could write longer blessings if you wish or write a prayer, but for us the shorter blessings had more of an impact, & using fewer words enabled younger children to engage with the pebbles too. Before you offer your blessing pebble you might like to hold it in your hand & say a prayer for the person who'll receive it. 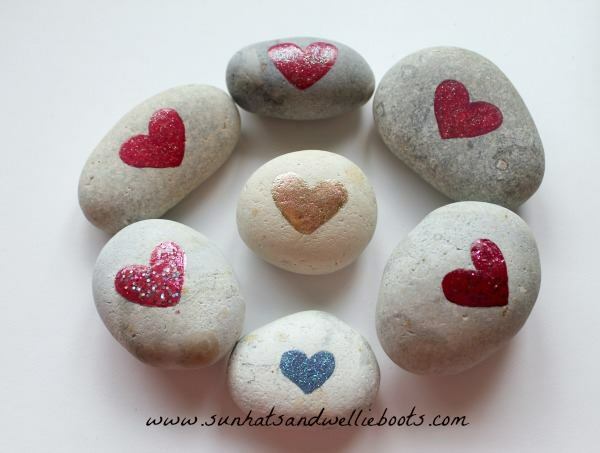 You could give your blessing pebble as a gift, or leave it anonymously on someone's doorstep. 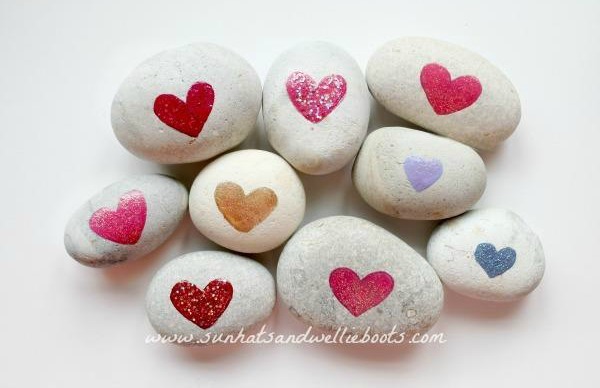 How about making some for Valentine's Day, reminding people how loved, appreciated, & awesome they are! You could add verses from 1 Corinthians 13. You could make a batch of these & leave them around your neighbourhood for people to find. Who knows who will discover them & what a difference your blessing may have on their day.